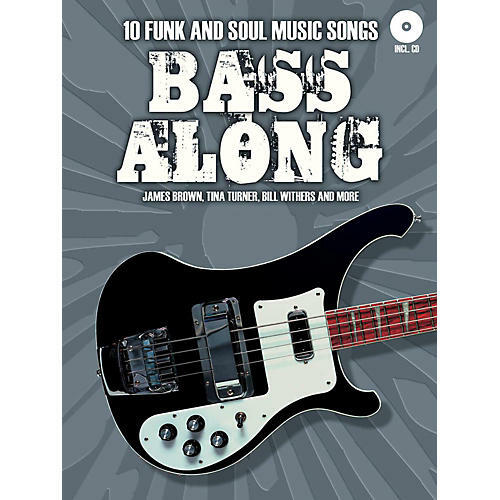 Bass Along: 10 Funk & Soul Music Songs features 10 funk & soul songs to play along with. Notated in bass tab and in song parts only, the tunes are fast and easy to learn. The CD contains two high quality versions for each song: A full version and a version to play along with (without bass). Songs include: Ain't No Sunshine ¢ Get down on It ¢ I Say a Little Prayer ¢ Son-Of-A-Preacher Man ¢ We Don't Need Another Hero ¢ Yeah, Right ¢ and more.